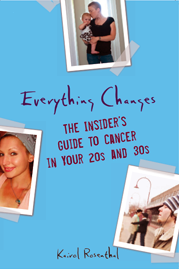 Everything Changes – The Guide to Young Adult Cancer » More Cautious Since Cancer? My friends tease me as I creep down Lakeshore Drive like a granny obeying the posted speed limit. Too casually our culture talks about being hit by a metaphoric bus. My 20-something cancer diagnosis turned that metaphor into a reality. My mantra now is if I can possibly prevent more bodily harm to myself and others, why not? 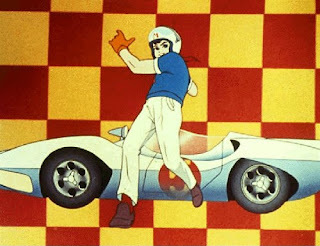 Sometimes it does feel dangerous though inching along at the speed limit while the rest of the world is flying past me. And flying they are. Today’s New York Times Well Blog discussed a survey on motor safety that asked motorists: “‘At what point do you feel speeding becomes a threat to the personal safety of you and your family?’ The motorists were given three choices: 5 m.p.h., 10 m.p.h. or 20 m.p.h. over the speed limit.” Survey says: 79% thought it was safe to drive 10 m.p.h. above the speed limit, and one-third said it was safe to drive 20 m.p.h. above the speed limit. Okay, I confess. I’m no saint. I do have my transgressions. Recently my husband and I left our house in Chicago two hours late on a road trip to Pittsburgh. We needed to make it there in time for 9pm Yom Kippur services. Our mantra for that car trip became “Outta my way people, we’ve gottsta atone!” We clocked an average well above the speed limit. It was particularly wonderful to sail through Indiana and Ohio at record speed. But just writing about it gives me pause: Cars are heavy hunks of metal. Life is precious. We in the young adult cancer community talk lots about how illness has made us appreciate life more. To what extent is that true for you? Do you value your personal safety more or less since you were diagnosed? Has cancer made you obey the speed limit, buckle your seat belt, or changed your other driving habits? Well, I don’t fit your demographic, since I’m 41, but I’ll answer with a qualified “no”. Since I started recovery I’ve been pushing harder than ever. I vowed to experience all the stuff that I though about but never did…you know, if it ever comes back, I can say that I went for it when I had the chance. I’m a 36-year old reader (not a cancer patient . . . at least not yet (fingers crossed)) but I have noticed that I have become much more careful since I got married 2 years ago. I’m more careful everywhere — on the train (mind the gap! ), on the road (both hands, 100-and-6! ), and in the shower (grip the curtain rod and don’t slip!). I’m just more mindful about all that personal safety stuff now that I share my life with someone who is, I feel, more important than I am. I want to be around her for a long time. Cripes, that sounds cheesy. But it is true. I’m 31 and have CML. I’ve gone the other direction, doing things I’ve always wanted to but couldn’t before.